Draft: 2007, Arizona Diamondbacks, 15th rd. October 2, 2017 RHP Josh Collmenter elected free agency. August 16, 2017 Gwinnett Braves activated RHP Josh Collmenter from the 7-day disabled list. 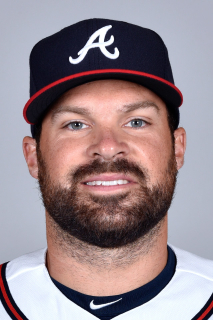 August 3, 2017 Gwinnett Braves sent RHP Josh Collmenter on a rehab assignment to GCL Braves. May 29, 2017 Atlanta Braves sent RHP Josh Collmenter outright to Gwinnett Braves. May 25, 2017 Atlanta Braves designated RHP Josh Collmenter for assignment. September 16, 2016 Atlanta Braves selected the contract of RHP Josh Collmenter from Gwinnett Braves. September 14, 2016 Chicago Cubs traded RHP Josh Collmenter to Atlanta Braves for cash. September 14, 2016 RHP Josh Collmenter assigned to Gwinnett Braves. August 15, 2016 RHP Josh Collmenter assigned to Iowa Cubs. August 10, 2016 Chicago Cubs signed free agent Josh Collmenter. August 7, 2016 Arizona Diamondbacks released RHP Josh Collmenter. July 30, 2016 Arizona Diamondbacks designated RHP Josh Collmenter for assignment. May 27, 2016 Arizona Diamondbacks activated RHP Josh Collmenter from the 15-day disabled list. May 14, 2016 Arizona Diamondbacks sent RHP Josh Collmenter on a rehab assignment to Reno Aces. May 2, 2016 Arizona Diamondbacks sent RHP Josh Collmenter on a rehab assignment to Visalia Rawhide. September 1, 2012 Arizona Diamondbacks activated RHP Josh Collmenter from the 15-day disabled list. August 10, 2012 Josh Collmenter roster status changed by Arizona Diamondbacks. April 15, 2011 Arizona Diamondbacks recalled RHP Josh Collmenter from Reno Aces. March 13, 2011 Arizona Diamondbacks optioned Josh Collmenter to Reno Aces. November 19, 2010 Arizona Diamondbacks selected the contract of Josh Collmenter from Mobile BayBears. August 31, 2010 Josh Collmenter assigned to Scottsdale Scorpions. August 16, 2010 Josh Collmenter assigned to Mobile BayBears from Reno Aces. July 14, 2010 Josh Collmenter assigned to Reno Aces from Mobile BayBears. May 18, 2010 Josh Collmenter assigned to Mobile BayBears from Yakima Bears. May 17, 2010 RHP Josh Collmenter assigned to Yakima Bears from Reno Aces. April 29, 2010 Josh Collmenter assigned to Reno Aces from Visalia Rawhide.